Whether you’re just starting out in trucking or wanting to become more budget conscious, there are many things you can do to cut back on expenses and stay on budget. Here are a few ways you can truck while living on a budget. -Stop eating out and cook in your truck. Cooking in your truck is an easy way to save a lot of money. Truck stop meals can cost as much as $12-$15 per meal. If you’re eating out 2-3 times a day, you’re spending as much as $300-$500 a month eating fast food. There are many resources on ways to cook in your truck. Check out Cooking on the Cab’s Facebook group. Cooking in your truck can save you $1,500 a year or more! -Make your own laundry detergent. -Stock up on essentials before heading out on the road. 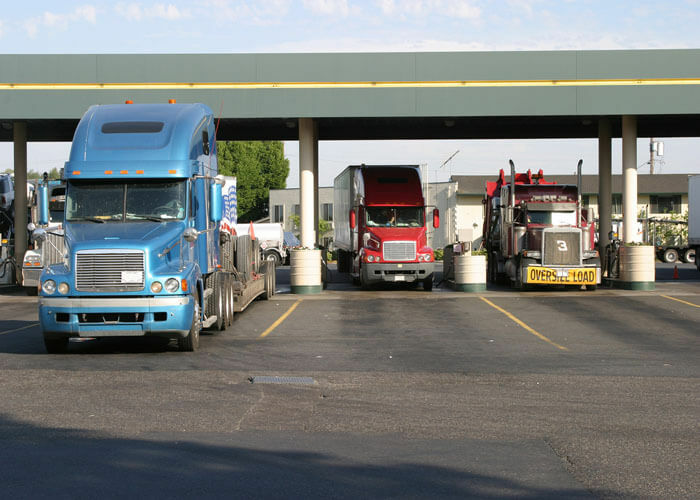 Truck stops often have highly inflated prices. Stock up on groceries, toiletries and essentials before heading out on the road. -Skip truck stop soft drinks and coffee. Even if you’re only buying one soft drink, tea or coffee per day, that can really add up. A fountain soft drink can cost as much as an entire 2-liter of soda. Stock up on your favorite pop before you hit the road. Make your coffee in your truck or buy a truck stop coffee and add your favorite coffee creamer. Cutting out a daily gourmet coffee can save you as much as $2,190 per year! -Network with other drivers on money-saving tips. Truck Driver Money Savings Tips is a great resource for drivers on ways to save money while on the road. The website is operated by former truck drivers. Check the site frequently for coupons, recipes and money-saving tips. -Create a weekly/bi-weekly/monthly budget and stick to it! If you have a hard time saving money, you’re not alone. A new app called Digit helps you save money. The app creators developed an advanced algorithm to pull little amounts of money from your checking account at a time and deposit into savings for you.